Whether you are producing metal parts yourself by casting, laser sintering, EDM, or conventional machining, or working with aftermarket parts, chances are you are going to need some surface improvements to remove imperfections. For simple applications, such as large holes or simple passages, manual polishing or electrochemical deburring might be sufficient. But, if your needs are more complex, you may be looking for a different solution that can meet your strict specifications. Abrasive Flow Machining in Indianapolis IN. 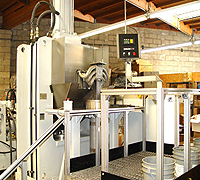 Polishing: No matter how complex the shape of a part or passage, abrasive flow machining in Indianapolis IN can be used to deliver a uniform surface improvement. Deburring: Burrs of any size can alter flow or otherwise detract from highly precise processes. They are especially problematic for food and medical applications because they can harbor bacteria. AFM provides a simple way to remove burrs and other imperfections, improving surface finishes by 90 percent with minimal dimensional change. 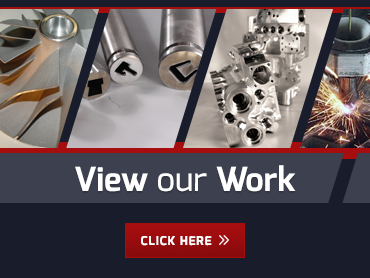 As an expert in abrasive flow machining in Indianapolis IN, Extrude Hone AFM makes an excellent choice of partner for enhancing your metal parts. Call (562) 531-2976 or use our online contact form for a quote or more information.